One of my favorite places to visit is New Orleans. The music, the fun, the food! But it is definitely not figure-friendly down on the bayou. So I cleaned things up & my family LOVED this Big Easy-inspired dish. Prepare 1 cup brown rice with 2 1/2 cups water or low sodium chicken broth, 1 tsp. black pepper, 1 tsp. garlic powder, 1 tsp. chili powder, & 1 tsp. cumin. Brown 1 - 1 1/2 lbs. extra lean ground turkey seasoned with black pepper, sea salt, & garlic powder. To the meat add 1 onion (diced), 1 bell pepper (diced - green, yellow, orange, or red - it's your preference), 1 large tomato (diced) OR a small can of diced tomatoes (no salt added, drained) & 2 Tbls. Cajun seasoning. Sauté until veggies soften a bit. Add 1 can black beans OR pinto beans (drained & rinsed) & cook til beans are warmed through. Add rice to meat & veggie mixture & combine well. Serve with a salad or your favorite veggie for a complete meal! 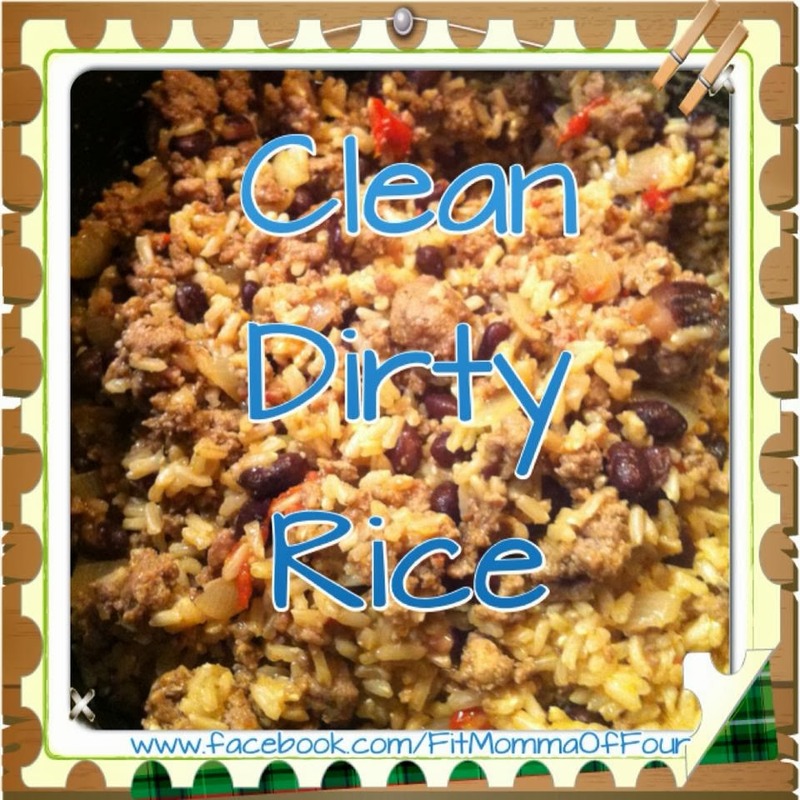 Click here for more delicious clean eats!